Just about 4.5 billion years ago, our sun went through an active phase during which it shone much more brightly than it does today – a conclusion researchers reached after taking measurements at ETH Zurich using a truly unique instrument. The Institute of Geochemistry and Petrology at ETH Zurich is home to an instrument that can detect the tiniest traces of noble gases. “This mass spectrometer was built here, and it’s 100 times more sensitive to helium and neon than any commercial device,” says Henner Busemann, a senior scientist at the Department of Earth Sciences and a member of the Swiss National Centre of Competence in Research PlanetS. For technical reasons, the instrument used to hang from the ceiling, and so it was nicknamed “Tom Dooley” after the alleged murderer who was hanged in the United States in the 19thcentury and immortalised in a folk song. With the help of “Tom Dooley”, researchers from Chicago and Zurich have gained new insights into the development of our solar system, as they recently reported in Nature Astronomy magazine. “In particular, we were able to demonstrate increased activity in the young sun,” says geophysicist Levke Kööp of the University of Chicago. 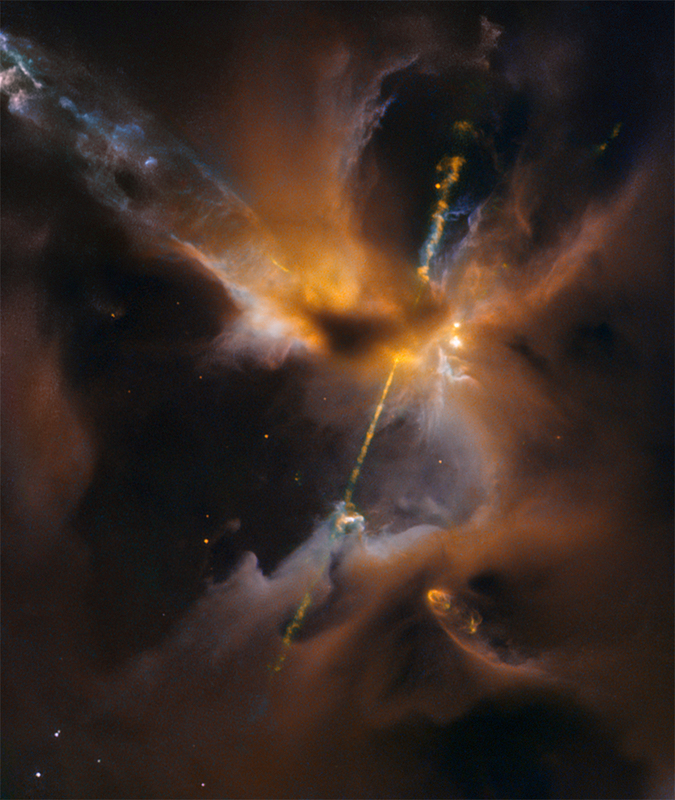 A similar active phase can be observed in young sunlike stars today, which emit lots of X-rays and particles in the form of jets. 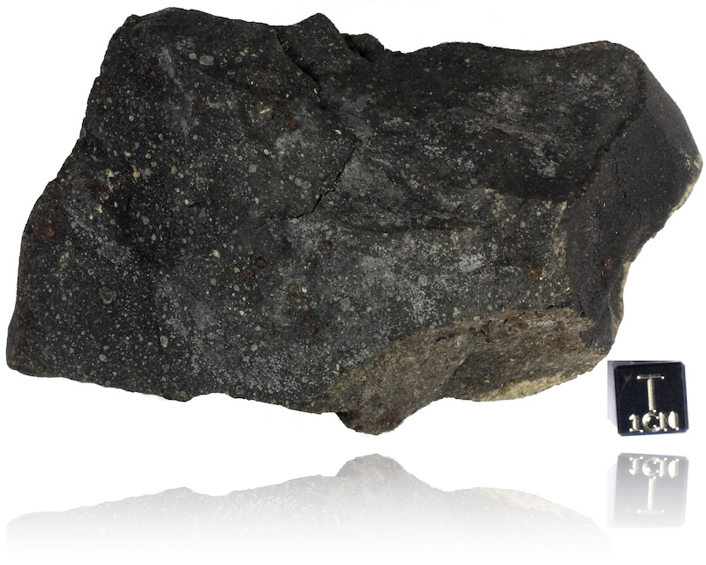 The researchers studied material from a large meteorite, the Murchison meteorite, named after the Australian town near which it fell, which is a standard research specimen owing to its large mass and chemically primitive composition. Among other things, it contains mineral inclusions that are rich in calcium and aluminium and date from the solar system’s infancy. Known as calcium-aluminium-rich inclusions (CAIs), these are the first minerals to have condensed out of the solar nebula about 4.5 billion years ago. They formed close to the sun as a 2,000 °C gas mixture cooled; within a few million years they had been transported to regions further out in the solar system, where they were soon incorporated into asteroids. The team studied two different classes of CAIs and measured their helium and neon content. These noble gases come in various isotopes, where the atoms have the same chemical properties but slightly different masses. Helium-3 and neon-21 are produced when CAIs are exposed to cosmic radiation, so the levels of helium-3 and neon-21 present allow researchers to draw conclusions about the length of time that the minerals were exposed to radiation in space. “We know that the Murchison meteorite spent around 1.5 million years travelling through space before it fell to earth in Australia in 1969,” Busemann says. One of the two CAI classes studied suggested that the exposure to radiation also lasted that long. However, upon examination with “Tom Dooley”, the other class exhibited considerably higher levels of helium-3 and neon-21. “That means this class must have experienced additional irradiation between the time it was formed and the time it was incorporated into Murchison’s parent asteroid,” Busemann says. Kööp travelled from the United States to Zurich to lead the noble-gas analysis work. “My samples date from the very beginnings of the solar system,” she says, “and they are very small, so we were always expecting the quantities of noble gases to be really tiny.” Although the “Tom Dooley” mass spectrometer was built 20 years ago, it is still the only instrument in the world capable of detecting such minimal concentrations of helium-3 and neon-21. “Here at ETH, we can develop new instruments while also maintaining the existing ones, which is absolutely crucial,” Busemann says. It’s not only cosmochemists who benefit: for instance, the Swiss Federal Institute of Aquatic Science and Technology (Eawag) regularly uses “Tom Dooley” to determine the age of seawater samples in an effort to understand mixing processes. Kööp, P. R. Heck, H. Busemann, A. M. Davis, J. Greer, C. Maden, M. M. M. Meier, R. Wieler: High early solar activity inferred from helium and neon excesses in the oldest meteorite inclusions, Nature Astronomy, July 2018.